Betting on racing - which bookmaker is the best to punt with? ONE of the great aspects of betting in today’s landscape is the plethora of choices that punters get in terms of online bookmakers. Every bookie these days is trying to separate themselves from the pack; but can you really trust they have punters’ best interests at heart? While some of the market focus seems to have shifted from racing to sport in recent times, any bookmaker worth their salt needs to have a strong affiliation with the racing industry – especially thoroughbred horse racing. After all, horse racing market that most of us are looking to invest upon 365 days a year, but what we really want to know is who is the best in the business? We have completed the research, opened accounts at all the big companies and we believe we have a winner. What makes Sportsbet a good bookmaker to bet on horse racing? A lot of bookmakers these days will offer promotions that get you excited, only for you to find out that if you take advantage of an offer and the company is forced to pay you out it’s typically in the form of a bonus bet. These bonus bets are invariably the subject of a ‘turnover rule’ which means you have to double or triple the amount of the bonus before it is withdrawable. No such problems at Sportsbet. Every promotion that Sportbet run is a cash back special, which means that is money straight back into your account which can be re-invested or withdrawn – it’s up to you. Some of the other bookmakers will not honour your bet if your horse loses on a protest, but there is no such worry at Sportsbet.com.au. To best illustrate this point, early in January of 2015 thoroughbred horse Alfonso lost in a protest at Randwick, but Sportsbet still paid out $253,000 to punters who were lucky enough to invest on the horse. A lot of the other companies left their customers out to dry, but the Sportsbet customers were laughing all the way to the ATM. There is an age old adage in horse racing that dictates that ‘a win is a win’ – which means if you win cash it does not matter how much it pays as long as you get a return. Too many times to mention punters are stung by a cheapened dividend on a race just because of the state they put the bet on. Which is why Sportsbet’s top tote plus is a God-send to those punters who are sick of getting the short end of the stick. Not only do Sportsbet give you the best of all three Australian totes, but they will give you the starting price if that is the best dividend. A lot of bookmakers offer occasional cash or bonus bet specials on horse racing, but none of them come close to the daily and weekly specials, as well as the sheer volume of money refunded like Sportsbet. For example: Sportsbet offered punters a cash back special on the 2015 Melbourne Cup that the others could not match. Punters that placed a bet on the Melbourne Cup were offered a refund of up to $50 if their runner finished second or third. Everyone remembers that Prince of Penzance shocked the world to take out the race that stops a nation at triple figure odds, but few would realise that Sportsbet refunded $670,541 to over 50,000 Melbourne Cup punters. In 2016 they are stepping it up another notch. If your horse finished inside the top-four but did not win they refunded your cash up to the value of $100. That is just the beginning for the inducements Sportsbet offer, as there is cash back specials every weekend for punters to take advantage of throughout the year. Not only does Sportsbet have the comprehensive markets from America, the UK, South America and Australasia, but they also have the vision to go with it. Punters wanting to invest on the races over in the states can find live streams, alongside betting options that most other online bookmakers do not offer. 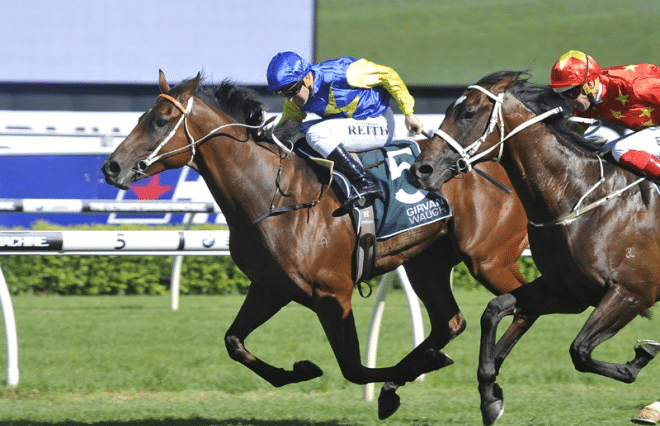 If you had any doubts about punting on Horse Racing at Sportsbet.com.au prior to reading this article we hope those fears have been allayed, because we believe they are the best in the business. There is no question they put the punt on a pedestal – especially the thoroughbreds. Sportsbet has comprehensive markets from all around the globe, their promotions are untouchable and they offer far more money back specials – all in the form of real cash – than the others. Punters who have not signed up at Sportsbet just do not take their punting seriously, and we recommend anyone who is in two minds about who to sign up with do not hesitate and join up today.